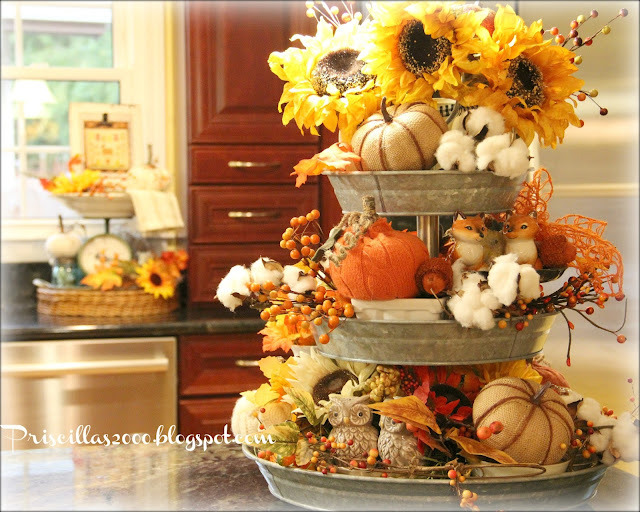 I am here today to share this years Fall Galvanized tiered tray.. 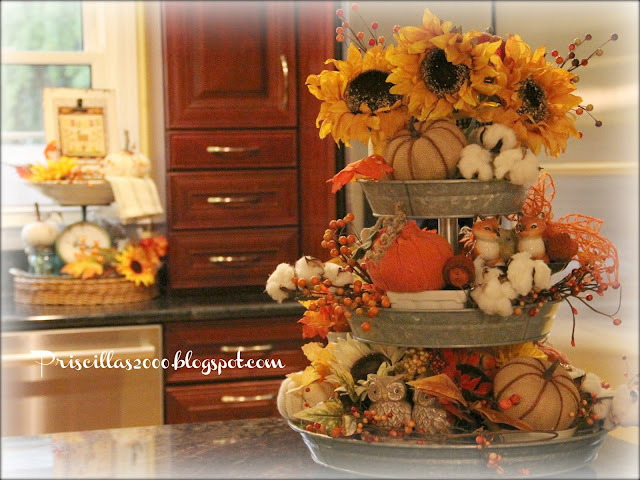 I bought this tray at Sam's Club several years ago and love to decorate it for the seasons! 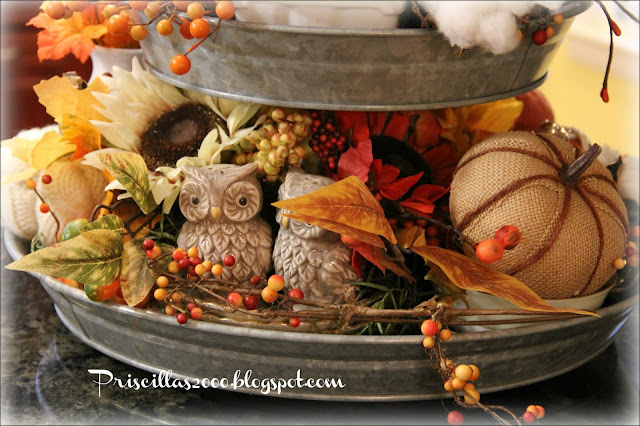 This one is stuffed full of all things Fall! 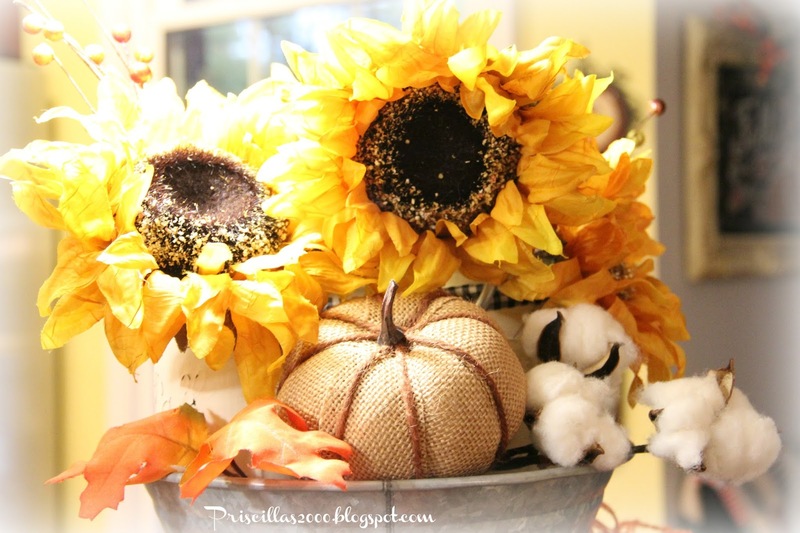 DIY sweater pumpkins and burlap pumpkins..
Love these realistic sunflowers I found at Hobby Lobby..they are in off white chalk painted mason jars.. On the other counter is another fall vignette I will show you when I do a Fall tour.. So delightful (as usual)! Especially love all of the little varietal pumpkins - so adorable! Have a wonderful week Priscilla! I just love your little fox and owls. The whole arrangement is super! It looks great! I love the little owls! 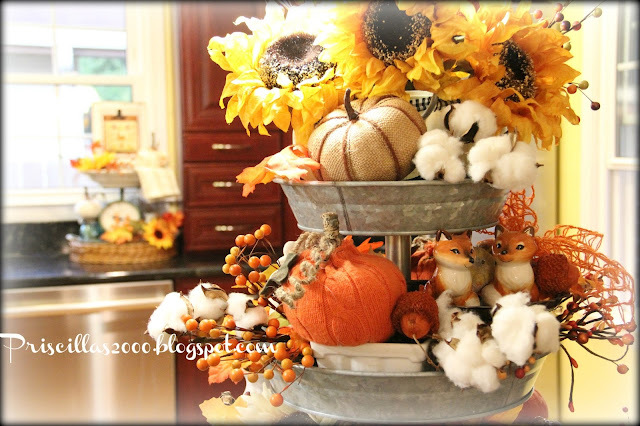 Cute Fall display, love the cotton amongst the Autumnal goodness. 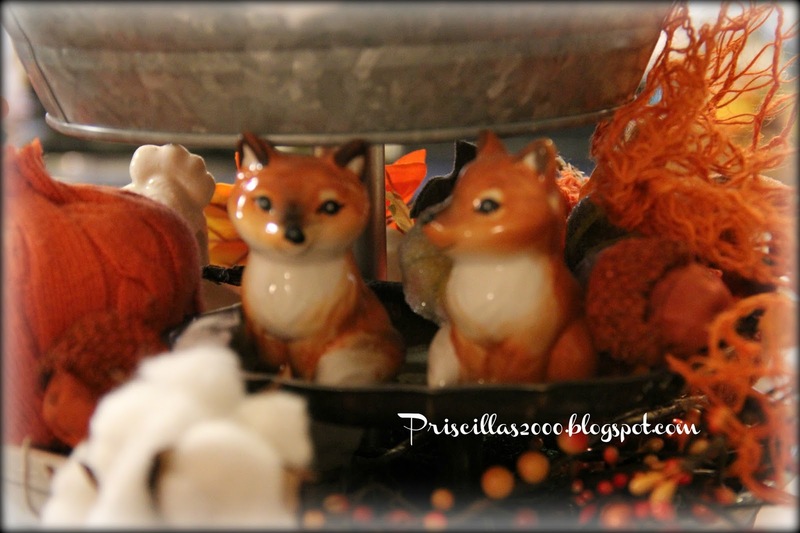 Cute fox and owl shakers too! Your tiered tray for Fall is gorgeous. 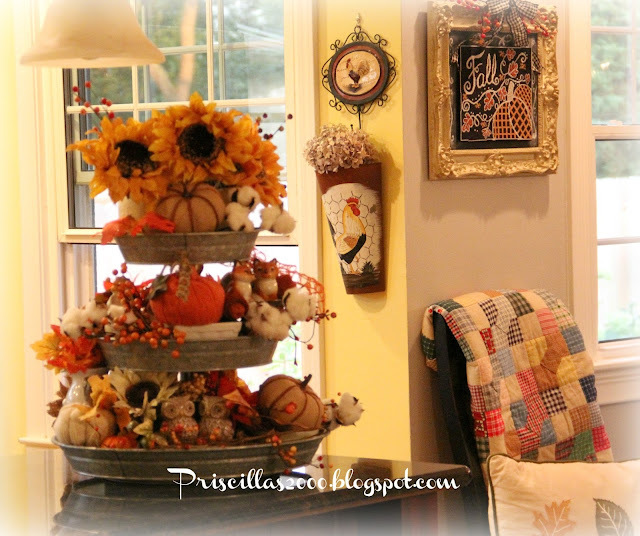 We would love for you to share it our new linky party, Monday Social. http://botanicbleu.blogspot.com/2016/09/monday-social-2.html You can link up photos from Instagram, Pinterest, and Facebook, as well as your blog. This is a great forum for discovering social media addresses from new sites and for sharing your social media addresses with others.